Tim Portz, formerly the executive editor for Pellet Mill Magazine, will be contributing a regular column to the magazine as executive director of the Pellet Fuels Institute. Below is his first column, outlining his perspective on the pellet fuels industry and his priority as leader of PFI. Please visit Biomass Magazine to view this and other pellet-related content. Early this year, I began my tenure as executive director of the Pellet Fuels Institute, representing not only the men and women who own and operate wood pellet facilities but also the broader vendor community that supports these producers. I'm thrilled to take on this challenge and look forward to the work ahead. I'm excited about representing the PFI for three main reasons. First, the producer members of the PFI operate manufacturing facilities in the U.S. I'm a big fan of American manufacturing, and I am intimately aware of how vital manufacturing jobs are to the rural parts of this country. I grew up in rural Iowa, and in the late 1970s and early '80s, my hometown of 2,500 people had four different manufacturing facilities in its industrial park. Hundreds of people enjoyed skilled labor jobs that paid good, middle-class wages. With the exception of one, all of those factories have since closed, and my hometown is still reeling from the economic shock of those lost jobs. Pellet manufacturing puts people to work, typically in rural places, and I can think of no better endeavor than to do what I can to perpetuate this economic engine. Second, I'm a firm believer that the single best way to maintain a strong inventory of forests in this country is to ensure they continue to have real economic value. Pellet manufacturing plays an important role in the broader forest products supply chain, shoring up value for the residual fiber streams that are generated every day by sawmills, cabinet shops and flooring manufacturers. 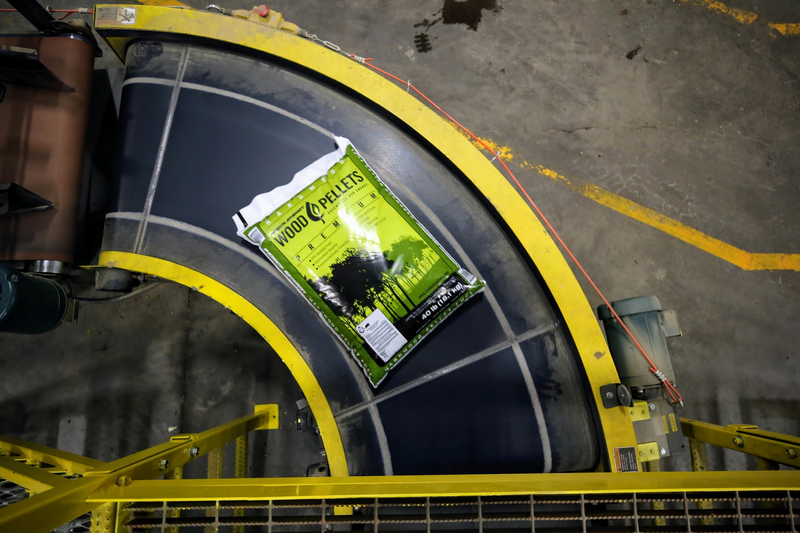 Pellet manufacturing drives the forest products industry closer toward the reality of using the "whole tree," which ultimately wins us all fans in the general public. Finally, I believe the use of fossil fuels for energy is increasing carbon dioxide levels in the atmosphere, changing our climate. A decade ago, this is what brought me to the biomass industry. Generating more of our energy from biogenic sources is vital if we're ever going to turn this ship of climate change that we are on. My first priority in 2018 is making it clear to our membership that the PFI is engaged in a daily effort to raise the visibility and profile of pellet as a heating option to consumers. This cannot be overstated or emphasized enough. There is very little the PFI can do about the weather or the prices of heating fuels that wood pellets compete with, but the PFI can get busy waving the flag of pellet heat. Our market grows each time a new homeowner, business owner or farm owner makes a decision to install a pellet heating appliance. This is fundamental to our market growth, and it is an effort the PFI and its board is committed to undertaking in the coming year. Our producer members deserve to feel the tailwinds of their association championing the products they manufacture and working to win new customers. It is that simple. While I have known and written about the professionals in the wood pellet industry for nearly a decade, during the past several weeks, I've had the opportunity to speak with them in a new context. Their passion for their businesses and industry is contagious, and I look forward to representing them in the coming year. Thank you to all PFI members who voiced their support of the BTU Act to their elected officials. Unfortunately, the provision did not make it into the final tax bill. We appreciate your support and will continue to pursue tax policy that benefits the pellet fuels industry and its customers. People who use wood to heat their homes saw their wood piles dwindle during the extreme cold snap that sent much of the Northeast into a deep freeze in December and early January, and now some wood suppliers are having a hard time meeting the demand for firewood. While some firewood suppliers say they have caught up with the need for wood, others are still working to ensure that people have enough dry firewood to heat their homes through the rest of the winter, experts said. John Ackerly, president of the Maryland-based Alliance for Green Heat, a nonprofit education and advocacy group for wood heating consumers, said Tuesday the problem is most acute in the Northeast and parts of the upper Midwest, although there have been similar anecdotal reports in other parts of the U.S. and Canada. In December, Erik Carlson pulled the plug on his fledgling wood pellet business due to high electrical costs. Carlson, a certified forester and logger for two decades, began a journey in 2016 he thought might resurrect the struggling Maine pulp industry. For decades, Maine's paper mills were an eager customer for the low-grade quality wood harvested in Maine forests. Many of Carlson's clients sold pulp to Maine paper mills for years. But increased foreign competition and decreased demand for news print over the past three decades resulted in a major shift in the industry. The continued economic tailspin for newsprint culminated with five Maine paper mills closing between 2014 and 2016. With pulp being good for little else than making paper, this left Maine woodsmen with forests full of low-grade wood needing harvesting without a market. But one day, in a local hardware store, Carlson stumbled upon a new use for the seemingly endless amounts of spruce, pine and hemlock trees needing thinning in Maine's forests. Carlson spotted a 40-pound wood pellet bag. Are We Entering the Bio-age? "It's clear we're at the threshold of the bio-age." It was a powerful statement from Kim Rudd, parliamentary secretary to the minister of natural resources, at an industry event in Ottawa late November. And if it at all reflects the sentiment at Natural Resources Canada, it's a call to action for biomass producers to make noise in the marketplace. There is a strong reason to think 2018 will be a banner year for biomass. Making good on its election promises, the Liberal government is moving forward - albeit with the usual bureaucratic glacial pace - with two policies that will help reduce Canada's contribution to greenhouse gases (GHGs). These policies will help bridge the price gap between fossil fuels and lower carbon alternatives like wood pellets and other biofuels.